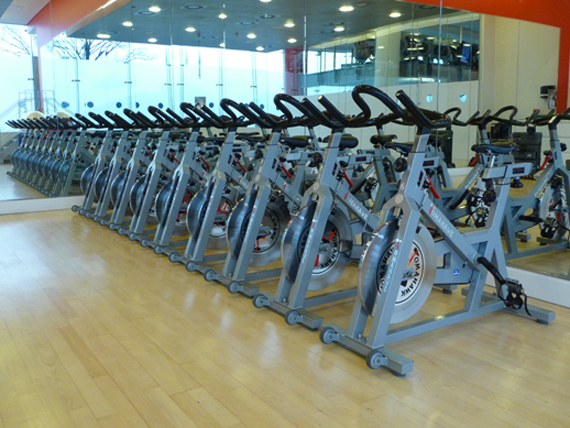 We service indoor cycling bikes for a large sector of the leisure industry. Maintaining complete fleets of indoor cycling bikes across the UK. We maintain and service all the top brands. These include Tomahawk, Schwinn, Keiser, Lemonds, Instyle, Startrac. If your indoor cycling bikes require servicing contact us for a free quote. We are not just a gym maintenance company. Our senior engineers have over 30 years experience at the cutting edge of the cycle industry, working in product testing and development, as professional cycle racers and race mechanics. Over the years we have learned which brands offer the best balance between performance and value for money. All our customers benefit from this hard earned knowledge for free. Any indoor cycling bike studio will contain thousands of pounds worth of equipment; the penalty for inadequate maintenance will not be cheap. With Brockley Bikes not only do you get CyTech NVQ qualified engineers, our head technician is a time served CyTech trainer and assessor. We offer different services for each individual health club. • We will strip the bike down of components; clean them all before re-assembling it with far more care than when it was first built. Any components showing signs of wear will be replaced. Keeping your indoor cycling bikes clean is the best value way to look after a large investment. If your bikes have few mechanical problems, but are corrosion free, this service will make them better than new! A Call out fee is standard practice in the maintenance industry. They can be avoided at Brockley Bikes. If one bike breaks, there is high probability that more failures are about to occur; all the bikes are used at the same time so if one part has worn out/failed others won’t be far behind. We could repair the one bike and leave the client with an appearance fee larger than the repair cost (as most do). We feel there is a fairer way. By giving every bike in the fleet a safety check while on site we can. For repairs and small fleet services (at our discretion) we charge a small call out fee depending on the nature of the repair and when the fleet was last serviced by Brockley Bikes. The left column are bikes we have not serviced and the right column is what they look like after we have. Do your indoor cycling bikes look like the ones in the left column or the right one? The pictures are of the same bikes before and after we have serviced them. A Lack of professional servicing can lead to corrosion that can be stopped. It’s not always obvious unless you look in the right place. It will continue to attack your fleet unless you do something about it. When we service your bikes we do more than just look at them. Using a special cleaning agent they will also be protected from the harsh spin room environment.